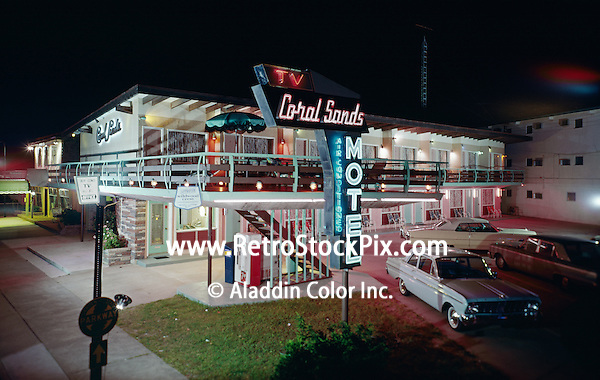 Coral Sands Motel, Wildwood Crest, NJ. Exterior at night with Neon Sign. 1959.